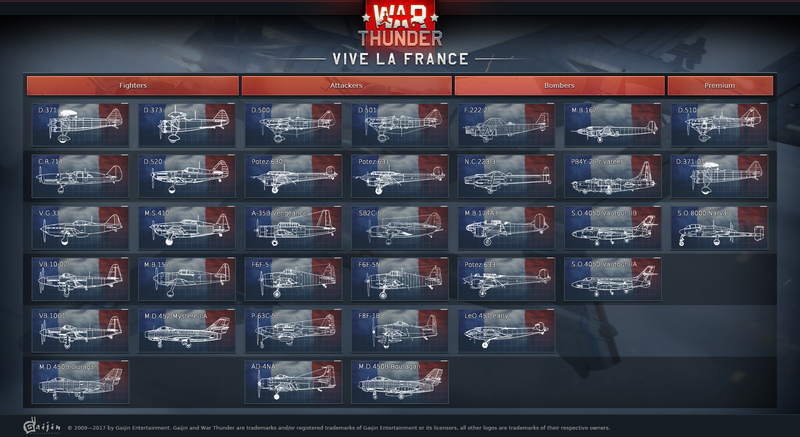 War Thunder Update 1.73 “Vive La France” is now rolling out for players. According to the official patch notes, the new War Thunder 1.73 update has added new weapons, Location and mission changes and much more. In addition, the War Thunder version 1.73 has also added a new mechanics for ammo storage destruction. Now, when one of storage areas are destroyed and it does not detonate or catch fire, the module will be marked as destroyed in the damage model and can not be damaged again. Read full details below. Changes in the ground vehicle location Eastern Europe and the aircraft location Sicily have been made with War Thunder 1.73. With War Thunder update 1.73, in missions where runway length was less than 1200m (mainly 900m), original airfields have been replaced by new ones with a runway of 1200m. Now it is easier to land and take off. Chieftain Mk.3/Mk.5/Mk.10 – rate of fire has been increased from 7.8 to 8 shots per minute. Source: Defense Review 02/1970 Chieftain Main Battle Tank for 1970-s.
MBT-70/KPz-70 – HEAT-FS shell mass has been reduced from 22 to 18.9 kgs, Smoke shell mass has been reduced from 20 to 18.9 kgs. M24 – smoke grenades available has been increased from 6 to 14. Source: Catalogue of Standard Ordnance Items, Second Edition, Vol.1, 1944; TM 9-2800 Military Vehicles,1947. Panther II – weight/mass has been changed from 47 to 53 tons with War Thunder version 1.73. Source: Panzer Tracts № 5-4 Panzerkampvagen Panther II and Panther Ausfuehrung F // Waffen-Arsenal, Band 77 – Deutsche Panzer-Raritaten. Pz.IV/70 (A) – smoke grenades available has been increased from 6 to 12. Source: “Panther & Its Variants” The Spielberger German Armor & Military Vehicles, Book 1. Tiger II (H)/10,5 Tiger II/Tiger II (H) Sla smoke grenades available has been increased from 6 to 12. Source: Germany’s Tiger Tanks: VK45.02 to TIGER II Design, Production & Modifications. Jagdtiger – smoke grenades available has been increased from 6 to 12. Source: Panzer Tracts No. 9: Jagdpanzer, Jagdpanzer 38 to Jagdtiger. M4A5 – baffle plate has been added to the engine compartment. A1E1 Independent – AP round speed has been reduced from 580 m/s to 563 m/s. Explosives type has been changed from TNT to melinite. Source: Tank Training Vol II – Part III Weapons Sequence of Instructions 1932. Chieftain Mk.5 – The values of the gear ratios have been refined. The maximum engine revolutions have been increased from 2250 to 2500. Maximum speed has been increased from 43 to 48 km/h. Source: Tank,Combat, 120-mm gun, Chieftain, Mk.5.User Handbook, 1973. Type 62 – A bug with the use of the soviet 3BK2 shell has been fixed. The shell has been replaced by an analogue Chinese shell – Type 1956. Changes: weight/mass has been changed from 7.3 to 7 kg, initial velocity has been changed from 842 to 845 m/sec, explosion type has been changed to pentolite, weight/mass of the explosion type – 0.68 kg. Source: Structure and Usages of Shells (炮弹的构造和作用), Page 78 Nanjing University of Science and Technology (ex. People’s Liberation Army Military Institute of Engineering), July 1974 Table of HEAT Projectiles’ Shaped Charges, Explosive Fillers, and Performances (破甲弹药型罩及装药结构性能一览表). Fw 190A-1 – ammo\load for nose-mounted MGs has been corrected – 900 per MG.
Bf 109 G series – R-6 modification, ammo load for wing mounted MG151 cannons has been corrected – 135 shots per cannon. F4U-4 – G-suit has been added with War Thunder update 1.73. F4U-4b – G-suit has been added. XF5F – Display of info regarding offensive weapons has been corrected with War Thunder version 1.73. Ki-94-2 – Binding for separate shooting with different calibre weapons has been corrected. D4Y3 – Order of bomb drop for 3х250kg bomb loadout has been corrected. B-29 – Information regarding the ammoload of the rear defensive turret has been fixed. Su-6 (АМ-42) – Deflection angles for the defensive armament has been corrected. SBD-3 – Deflection angles for the defensive armament has been corrected with War Thunder update 1.73. Po-2 – Deflection angles for the defensive armament has been corrected. G.91 R/1 – Secondary armament information has been changed from kgs to lbs. P-51H-5 NA – The dependence of research on suspension armament modification research modifications has been corrected. Tu-14Т – Deflection angles for the rear defensive armament has been corrected. J2M (all modifications) – Armour has been corrected with War Thunder 1.73 patch. G4M1 – Description in the card for the Type 99 (nominal 80) bomb the has been changed from HE to AP. P-38 (all modifications) – The possibility of using the 2×500 fn suspension armament variant separately has been added withWar Thunder patch 1.73. D4Y3 – The description of the modification for researching the suspension armament has been fixed. Pokryshkin’s P-39N-0 – The modification in the research of ammunition for the offensive 37mm cannon has been removed. Morane-Saulnier MS.410C – Has been initially configured. War Thunder update 1.73 improved water renders available in all maps. Marcolin’s C.R.42 CN – Hidden in the list of German vehicles for players who do not purchase it. With War Thunder version 1.73, all engine type sound effect parameters will change when switching to 3rd person view dependant on the angle of view. The sounds for the Chieftain, Comet, Centurion, Cromwell, Valentine engines have been changed to more authentic effect with War Thunder 1.73. The sound of the T-64A (1971) engine has been changed closer to the authentic effect with War Thunder patch 1.73. 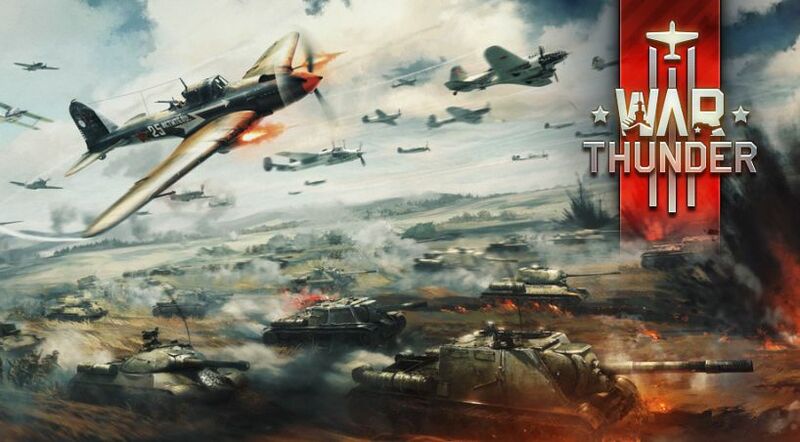 Check your game and download latest War Thunder Update 1.73 “Vive La France” on PS4.